MUNICH — Like the miracle of compound interest, Bavarian State Opera’s pricing can chart smartly upwards when you’re not watching. The company sells using an astounding total of 128 price points — the product of eight price categories for its National Theater home and sixteen sliding scales. Things get interesting when the scale changes, which is usually, but not always, in single increments. Take La traviata. Today’s performance sells for a top price of €132 and a low of €10 for a no-view score seat, with six categories in between. Pertinent detail: Leo Nucci, 75, sings Giorgio Germont. But next month the same opera has a €264 top, a low of €20, and corresponding increases in the middle categories of as much as 130%. Same leading lady. Same chorus and orchestra. Same conductor. Same production. 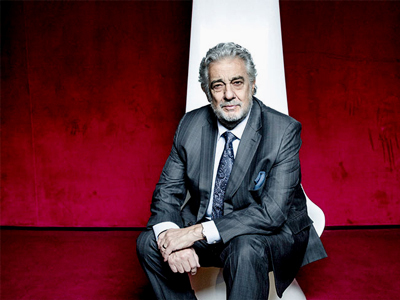 Pertinent variance: Plácido Domingo, 76, sings Giorgio Germont. Who would have thought the cold old paterfamilias could make such a difference? Apparently he does. To be sure, the costly performances (on June 27 and 29) are part of the Munich Opera Festival, when a small adjustment is customary. What amazes is a scale shift of four levels in this case. Separately, completely separately, June 29 will in all likelihood mark the erstwhile tenor’s farewell to this city, at least as far as staged opera goes. No announcement has been made, of course. But there it is. Sonya Yoncheva sings Violetta, Charles Castronovo is Alfredo, Andrea Battistoni conducts. Domingo made his BStO debut on Jan. 22, 1972, as Puccini’s Rodolfo. This entry was posted on Tuesday, May 2nd, 2017 at 1:23 pm	and is filed under Munich Times. You can follow any responses to this entry through the RSS 2.0 feed. Both comments and pings are currently closed.